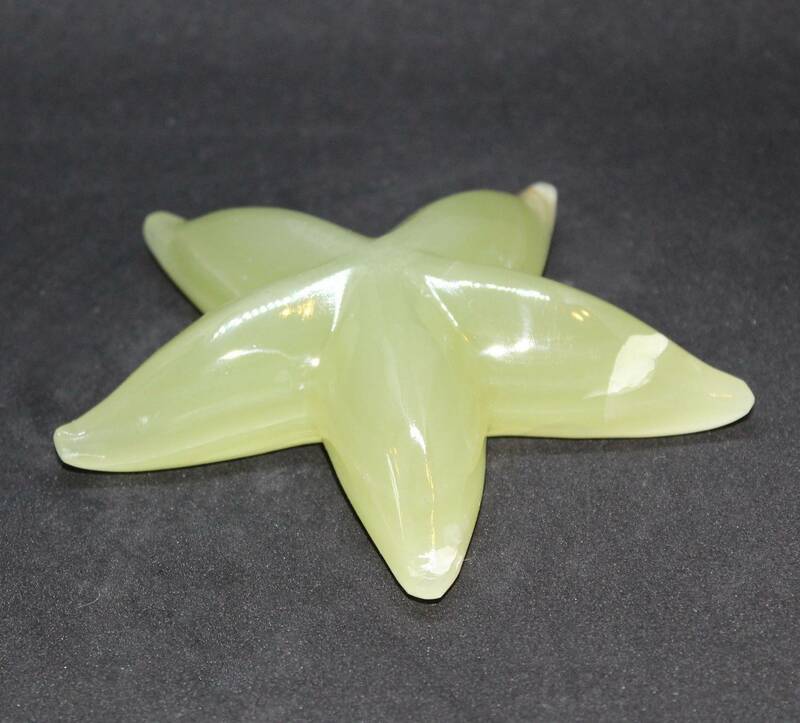 A lovely banded Calcite Starfish Carving, available in two sizes. 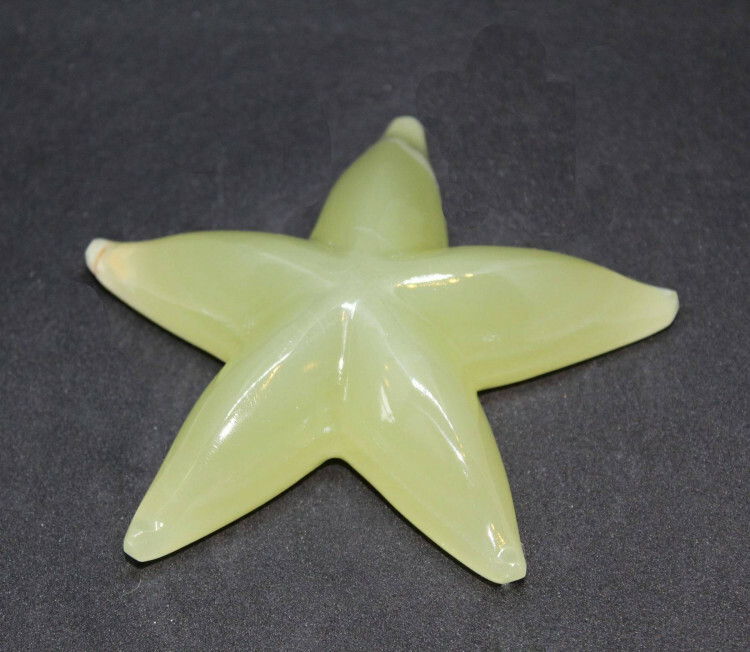 Banded Calcite starfish carvings, available in two sizes. This material is almost always incorrectly sold as ‘Onyx’. However, this is a form of Mexican or Pakistani banded Calcite which is nice and easy to carve. Because of the sheer amount of people calling this material Onyx, it has unfortunately become synonymous. These pieces have been carved into ornamental starfish shapes. They are ideal as decorations, maybe as ornaments, paperweights, etc. 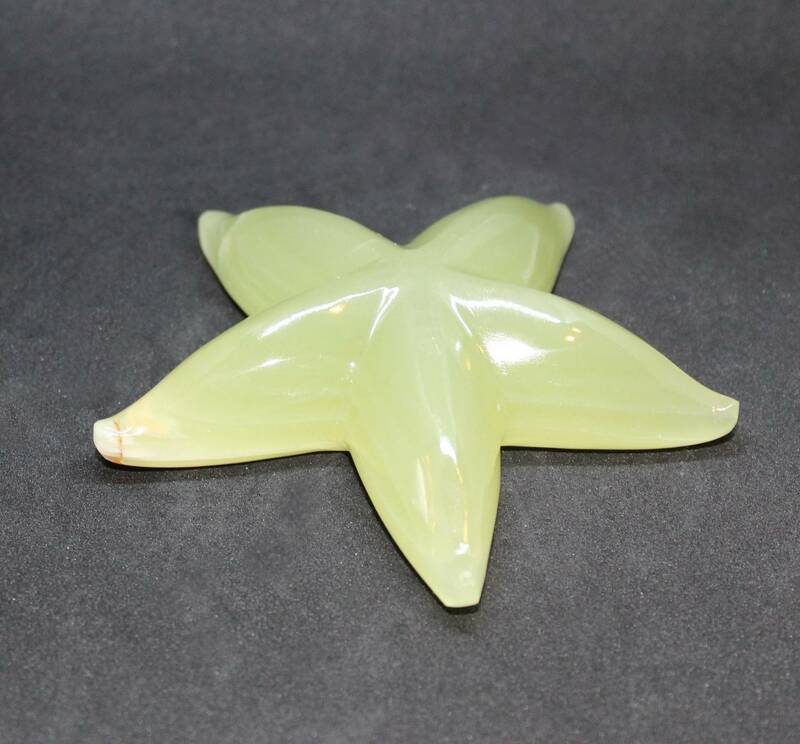 Some of the starfish carvings we carry are perfect for keeping in a fishtank or aquarium. However, since Calcite can be dissolved in water, we don’t recommend that with these pieces. For more information about Banded Calcite, and a full list of all our related products, please see our main ‘Banded Calcite’ page. Not a fan of the material? We have carved animals in a range of other gemstone and semi precious stones.